With six events under their belt, the Ladies Beer League (LBL) is gearing up for their most ambitious event yet – Halifax’s first Cask Beer Festival at the city’s newest Craft Beer Bar, The Stubborn Goat on Grafton Street. The LBL Cask Fest will take place in two sessions on November 17th: 1:00 pm to 4:00 pm and 5:00 pm to 8:00 pm. Tickets cost $35.00 per session and include 8 samples glasses. Cask Fest will feature unique, one-off, cask-conditioned ales from seven different maritime craft breweries. 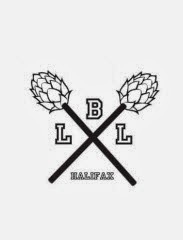 According to LBL Co-founder Tracy Phillippi, “Cask-conditioned ales have taken off in other Canadian cities, and until now, is a tradition kept by only a few breweries in Halifax. With the promising growth in the Nova Scotia craft brewing industry, we really hope to foster a culture that encourages Cask appreciation”. Cask beer is unfiltered, unpasteurized ale that is traditionally fermented inside a 40 L barrel. It’s smooth, flavourful and gives the brewers an opportunity to exercise their creativity. Attendees will be issued an event “passport” and encouraged to try each cask once. The most popular Cask voted by the attendees will be deemed the “2013 Cask Beer of the Year” by the LBL. Ladies Beer League is not about pitching women against men, it’s about leveling the playing field and having equal representation at all craft beer events”. Partial proceeds will go to the Ladies Beer League to help them continue to host engaging and educational craft beer events across Nova Scotia. Tickets go on sale on Sunday October 13th at 12:00 p.m. and can be purchased at LBLCaskFest.eventbrite.ca. The LBL advises you to get your tickets early! The seven participating breweries, along with their unique creations, will be released at a later date.